This set is very interesting in that each note came from the same sheet. 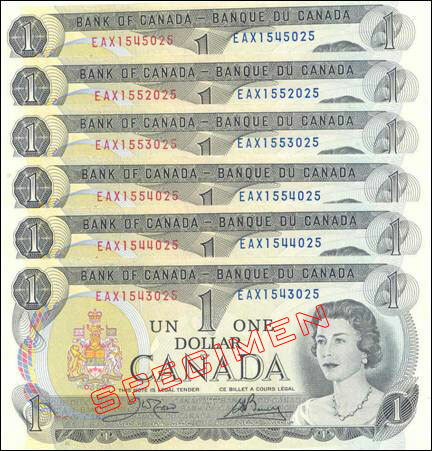 Now, there were EAX uncut sheets made available for sale by the Bank of Canada in May and June, 1989, but these notes were obtained from six separate stacks of 100 $1 notes from a bank. It is a great coincidence that the bank would receive exactly those stacks and not a column of stacks.